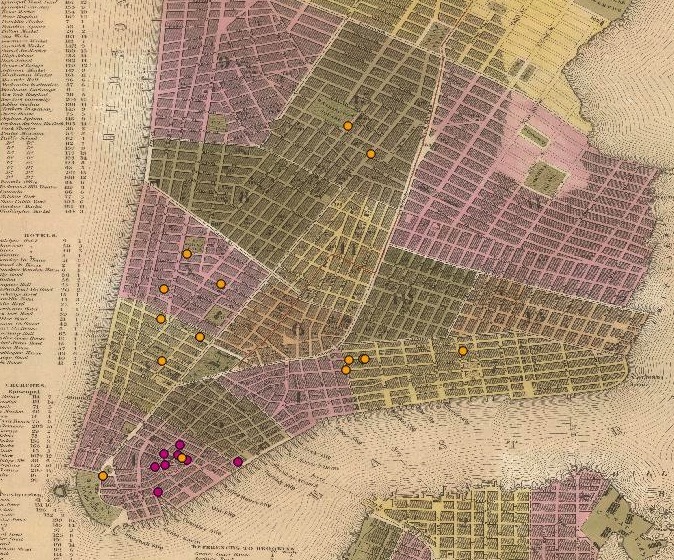 It turns out, tracking down the addresses of 19th c. New Yorkers is a pretty time consuming process. Here are the first 20 or so, laid over a 1845 map of New York City. Purple represent work addresses, yellow represent home addresses. ← Quick note: Henry Street, New York, 1847 – a particularly philanthropic street?